I was so honoured to be invited to the Kanebo Kate Spring Summer Collection Penang Roadshow where a beauty workshop was held and bloggers were invited to participate. 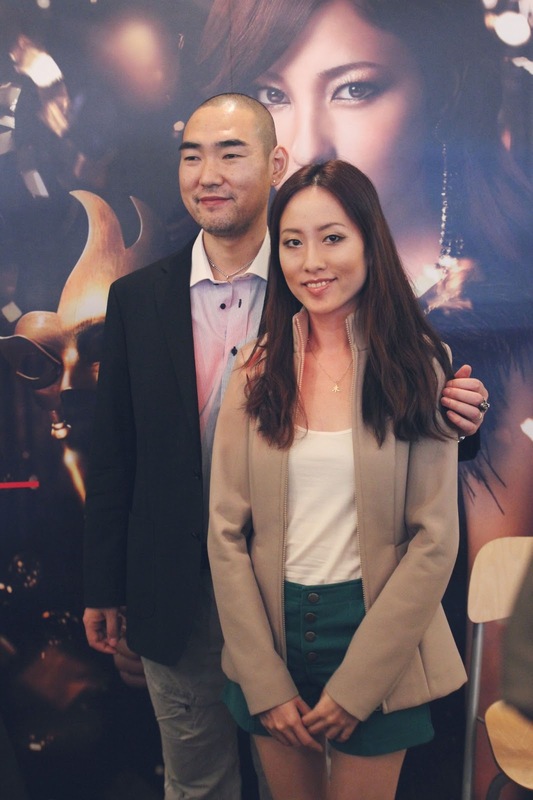 Hirai-san, a make up artist from Japan gave us tips and techniques on make up for both office look and party look! He was so friendly and niceee! However, I recently learned how to draw eyebrows HAHA, like very smart like that. I've always been watching Ladies First 女人我最大 where they always show make up demo and products, but never had the courage to try much because of the risk that I may look even worse than without makeup. lol lol. 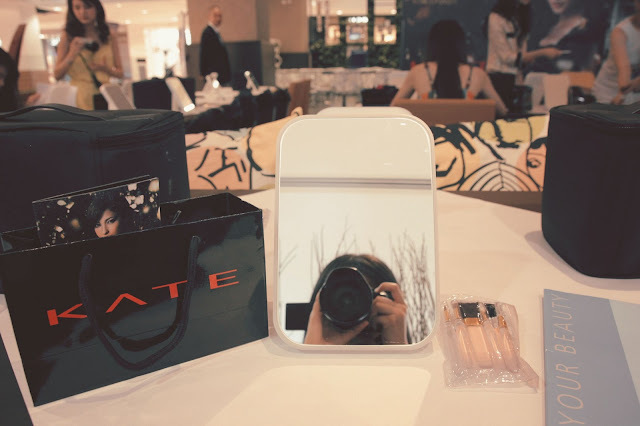 but then in this workshop, I was finally able to try on so many different types of Kate's quality make up and experiment with all of them and I end up really liking a lot of those products. 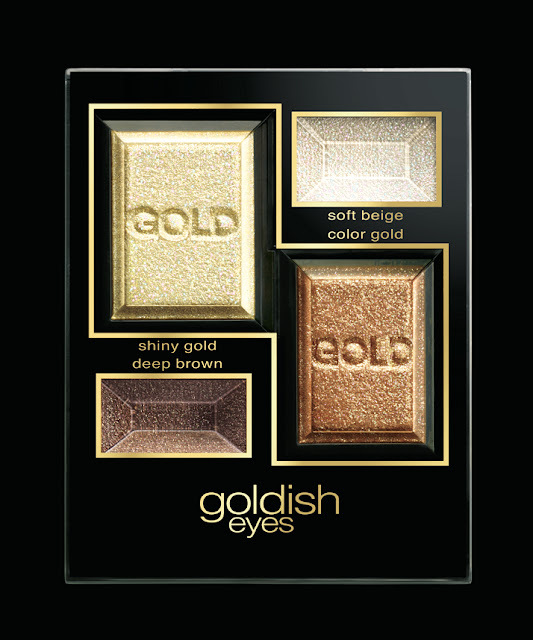 In their Spring Summer 2013 latest collection, the most attractive product they released four beautiful goldish shades of eyeshow palettes-- KATE GOLDISH EYES. Even more amazing is that in each palette, it contains two unique gold pearl powders - Real Gold Pearl where it is pure gold pearl powder that contains 0.1% of 24K REAL GOLD. real gold weiii. stunned. No wonder it was so shiny and shimmery, I kid you not! really bling bling! 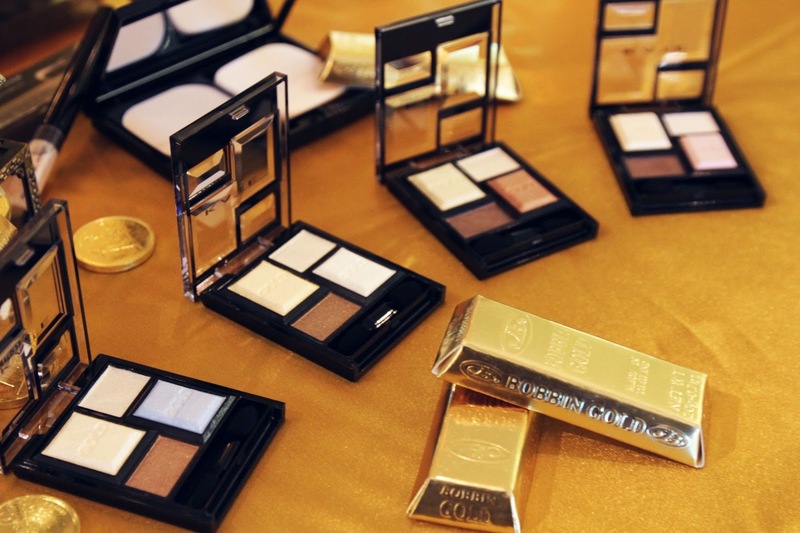 and also contains Nuane Gold Pearl which is a bright pearl powder with a hint of gold. 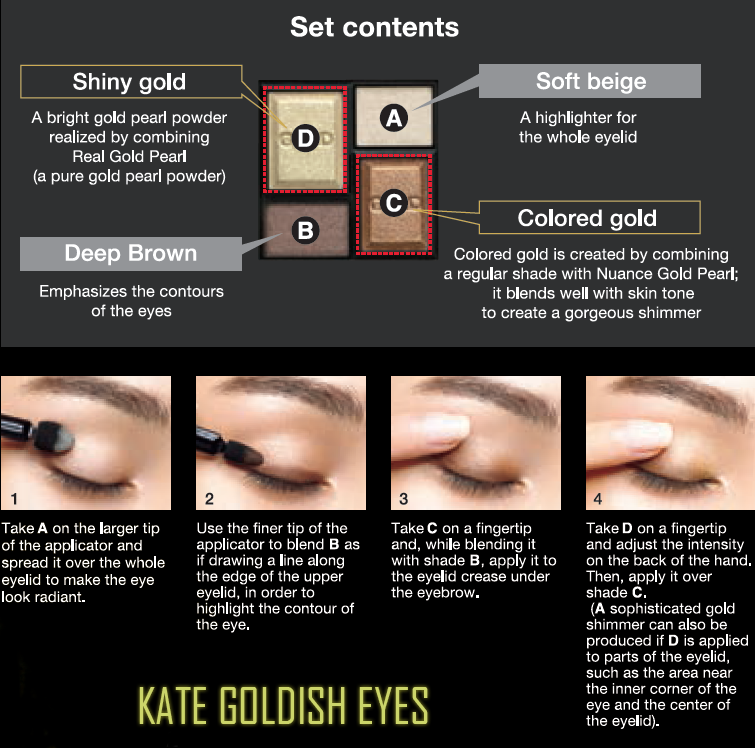 The KATE GOLDISH EYES blends in well with all skin tones and create that pop shimmery effect to your eyes. LOOK! the beautiful four different palettes. 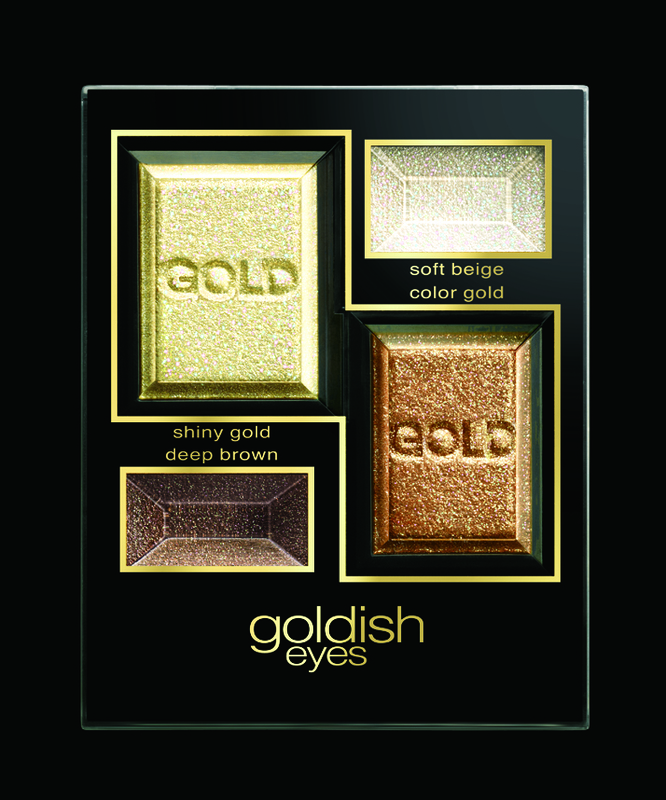 The KATE GOLDISH EYES propose shiny and high impact eye make up created by combining different shades with gold! Must have! The gold is super glam and gorgeous and gives you that sophisticated look! 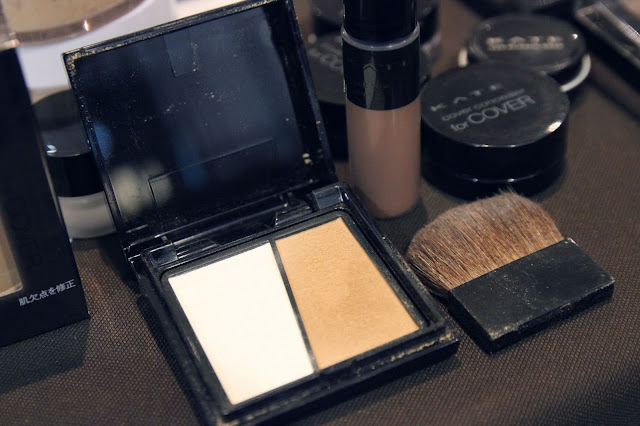 Most importantly is that it goes well with any colour and blends effortlessly with your skin! 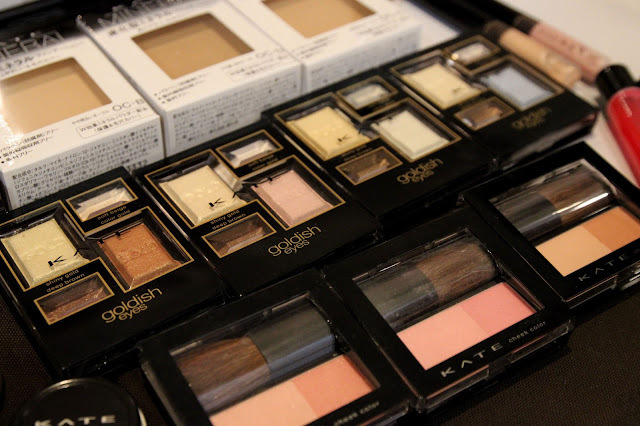 I also like the shades where you can use one palette to contour and highlight your eyes! At only RM59 you can have all four shades in one single palette in your hands! 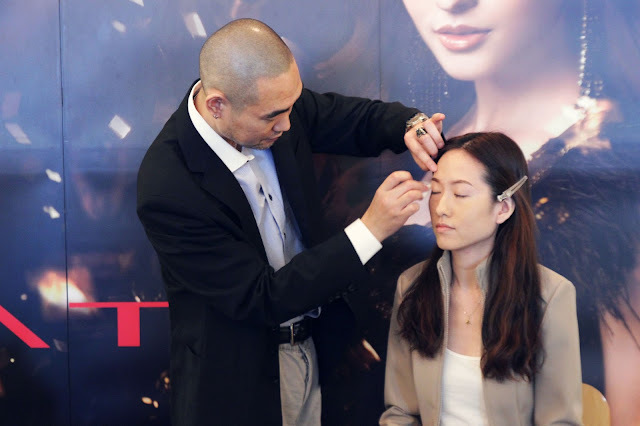 Hirai-san teaching and demonstrating the make up techniques on a volunteer. Honestly, I learned a lot about shading and contour using different shades. 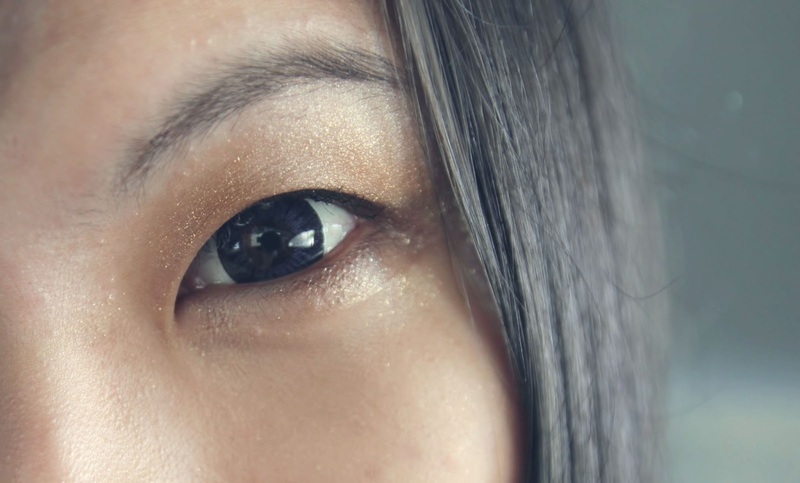 After my exams, and when I'm super free, I will definitely try and polish my make up skills. Anyway, see the difference? top pic with bare face and the bottom pics where the eye obviously is shaded and have that deep looking crease. Now, let's see how to create attractive eyes using the KATE GOLDISH EYES eyeshadow. big picture! so you can see the colours clearly. The shades are so nice righttt. click to enlarge this photo if you can't see clearly. 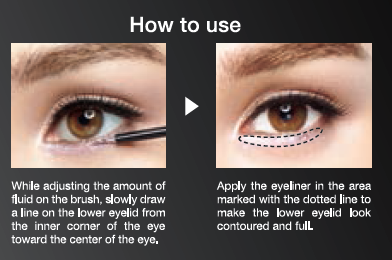 It teaches you how to apply the eyeshadow. 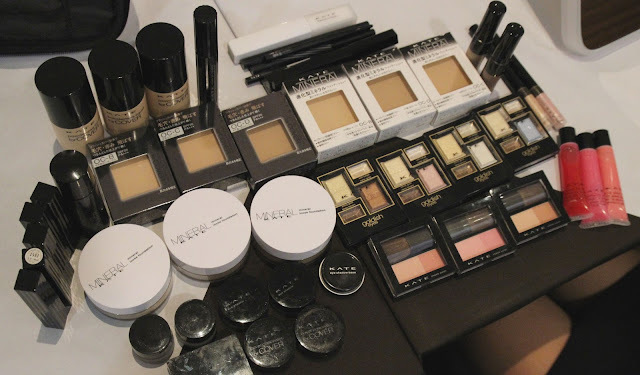 the comprehensive make up products we were given to use during the session. I was so excited for some reason because what girl wouldn't be? so many pretty things! 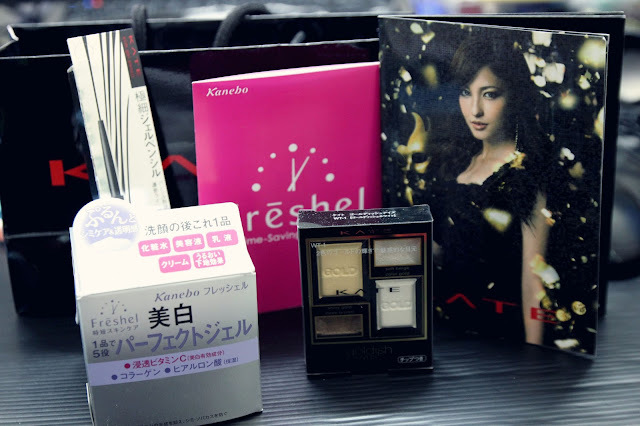 I saw how Hirai-san used this to create contour on the face and highlight using the lighter colour. It is actually Kate Slim Create Powder. kinda cool. can create that cheekbone effect and the darker colour is not too dark so you wouldn't like accidentally "draw" a line on your face. I also super love this weii. 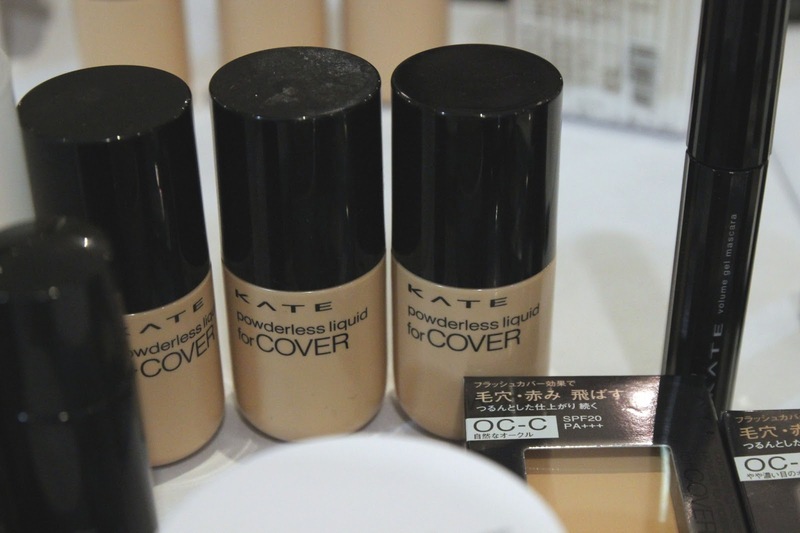 The Kate Powerless Liquid, it's like liquid and powder combined. So you don't have to use powder and the foundation doesn't feel sticky at all. The people were so friendly! I was like telling a lady from Kanebo that my eyes are often puffy and I have inner double eyelids. so I don't know how to put all those eyeshadow on my eyes. then she went and ask Hirai-san and he came and directly put it on for me. so honoured so shuang. lol lol. He used exactly the palette I showed above. Deep Black and Natural Brown. I tried the Slim Gel Pencil and to my absolute delight, seriously, I felt super happy because the pencil is so easy to use. So smooth and the colours are deep and rich. I have tried some gel eyeliner that my sister bought before, too difficult to draw an even coloured line, it is always uneven, like some parts darker some parts uncovered, or I end up drawing a too-thick line, and liquid eyeliner is too hard to be controlled for my stupid hands. So I gave up. but with this one it's super easy. If someone like me can use it and draw eyelines, I bet anyone can. The 2mm diameter pencil can be twisted in increments of 0.07mm for fine pencil adjustment, so you won't like accidentally twist out a whole long pencil from the holder. and one important thing to note is that once you twist it out, you can't twist it back down. Make sense though. The soft pencil also allows generous amount of pigments to adhere to the skin, hence achieving strong coloration. Told ya, no wonder the colour is super deep and dark. It also contains large amount of water-repelling pigments, so it's waterproof. Perfect! Another awesome gel eyeliner is this. Here we come again, shiny shiny! 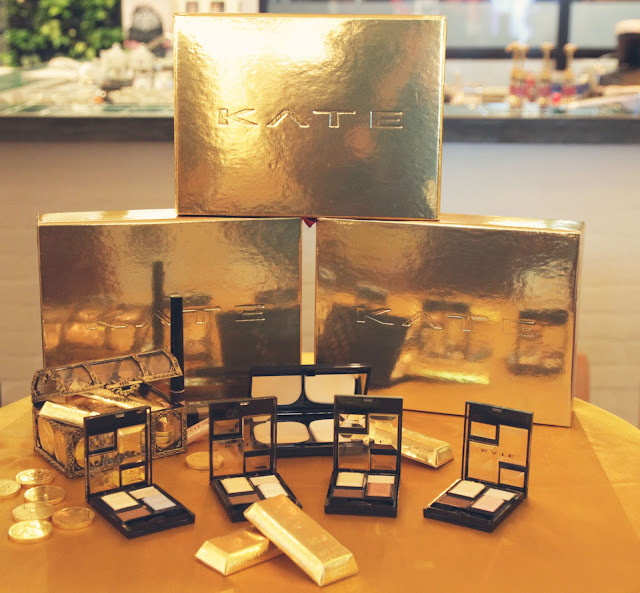 The Kate Shiny Eyelid Liner. and comes with two colours as well, pink and beige. This one is really nice. The brush is very very fine and lets you apply it on the inner corner of your eye. I think most girls know the inner corner lower lid is where you need to brighten so your eye will look bigger and fuller. The colour is shimmery of course, but kinda like semi-sheer? so not too bright until it becomes ridiculous awkward. Just nice and pretty and bling and very natural. My little goodie bag with the Slim Gel Eyeliner!! so grateful! exactly the thing I want. and the eyeshadow. 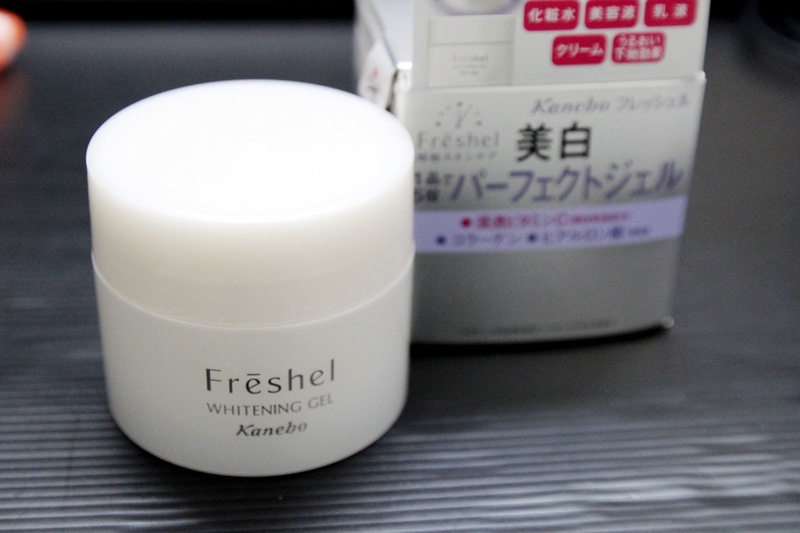 and also a Kanebo Freshel White C Whitening Gel. I tried it right after I came home, not bad so far. I felt that my skin is well moisturized and comfortable but the whitening part I can't be sure for now, need more time to see the results on that. 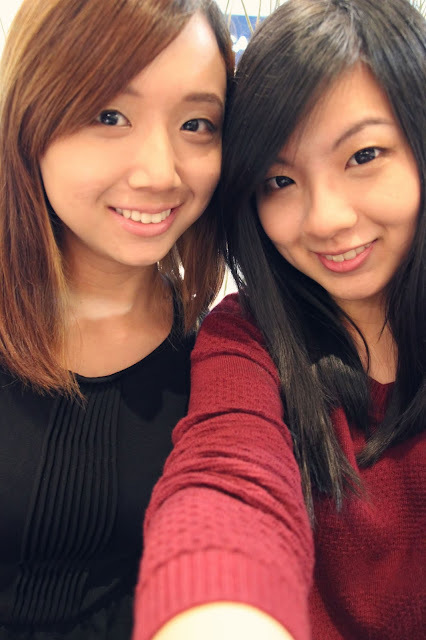 I also got to know this really sweet and friendly girl, Guendeline who was sitting next to me. Lastly, I want to thank Nuffnang for giving me this opportunity and thank you Kanebo Kate for the wonderful experience. Loved the the way it turned out.